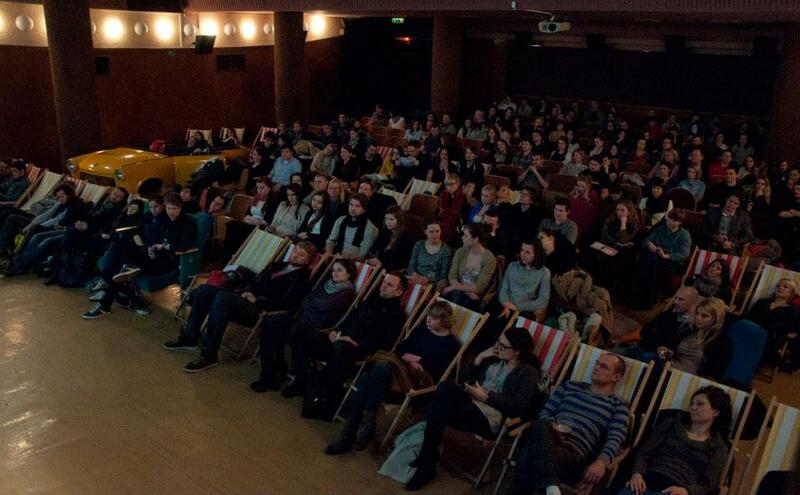 Screening in the Czech Republic (Festival iShorts). 2014 is upon us, and what better time to reflect on LMJ’s festival run this past year! Mostly, what did we learn? Our short film had the pleasure of screening at 12 festivals and 1 film market — but one thing we didn’t predict, was that about half of those screenings were due to the fact that the festival had reached out to invite us. Therefore, dear filmmakers, never underestimate the value of a website and social media presence! This is very important when it comes to not only festivals, but your audience finding your film, and (potentially) inviting you to screen. But with success, also comes rejection. We had a rather limited budget and festival strategy, but we did shoot for the stars and submitted to some of our “wish-list” festivals. I have to say, it’s rather humbling when the rejection emails start rolling in, and eye-opening when the occasional feedback comes with that. You quickly learn who your audience is — and isn’t. And none of it is predictable. Not really. The film was well received by festivals and in countries that we would never dream that it would be (South Korea and the Czech Republic, seriously?) And rejected by those that we thought it would be great for. Who knew? We also had the pleasure of participating in the Toronto Reel Asian International Film Festival’s Asian Heritage Month tour — in May — in which I was able to travel to different schools/classes in the Greater Toronto Area and screen the film for students. If you thought festival responses were unpredictable, you have no idea until you screen for youth! They laughed at different parts, enjoyed the film for a myriad of reasons, but most unexpectedly, it was always a surprise when a student came up to me afterward — excited about the characters and story portrayed. Excited about pursuing a career in a film. In essence, the film found a diverse audience despite its niche subject matter, and for that, we’re grateful. Love it or hate it — if you felt anything after you watched it, then we did our jobs! What does 2014 hold? We’ve been invited to screen at the National Screen Institute’s Online Short Film Festival, so look for our film to be up online there sometime in the New Year. After that, we may just end up sticking the film online somewhere. The point of making a film is for people to see it. And that’s always been our goal with this film. Alas, before we wrap this year up, I just wanted to say another heart-felt thank you to all our supporters and friends who made this film happen. It’s not lost on me that none of them had to help us. But they chose to. Peace. Good health. And happiness for 2014. Posted in Uncategorized and tagged Film Festival, Toronto Reel Asian International Film Festival. Bookmark the permalink. When 10-year-old, Afghani-American, Sally Khan, discovers that the father she never knew disappeared on September 11, 2001, she becomes convinced that he is a terrorist. Now if she could only figure out what that means! LITTLE MISS JIHAD is a dark comedy, yes, comedy, about faith, tolerance, and a child's imagination running away with her.